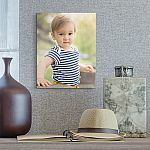 CVS has 70% Off 11x14, 16x20, 24x36 Canvas Prints with code "SUPER70". Free in-store pickup. 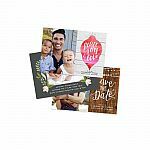 Walgreens has Buy 1 Get 2 Free photo magnets with code "SAVEGREEN". Free store pickup. Valid 3/17 - 3/23. 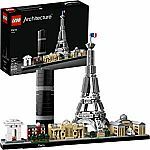 Amazon has 20% Off Select LEGO Architecture Sets. 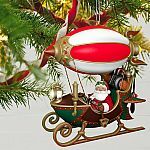 Shipping is free on $25+ or w/ Prime @Amazon or Free shipping $35+ or store pickup @Walmart. One day sale, Walgreens is offering a FREE 5x7 Folded Photo Card with code "FREECARD". Create your own Photo Card by uploading your photo and choose store pickup to save on shipping. I tried doing it , the code worked , total came to 0.
got it.. thank you dealsea ! Walgreens has 75% Off Everything for the Wall Decor Prints + Free Same Day Pickup. Promo code "LUCKYDAY75". Ends 3/22/19. @ Musicians Friend / Adorama. Shipping is free. Fender American Original '60s Jazz Electric Bass Guitar (Candy Apple Red) $1,300 with promo code "MARCHMAD"
CVS has 11" x 14" Custom Canvas Print for $12 with code "60SELECT". Free store pickup. Does anyone know about quality? So tempted to order this but last time I ordered prints and they came out so dark. Quality is good. //@Anonymous: Does anyone know about quality? So tempted to order this but last time I ordered prints and they came out so dark. Cvs is much better tha walgreens //@anonymous: Quality is good. //@Anonymous: Does anyone know about quality? So tempted to order this but last time I ordered prints and they came out so dark. Order status indicates that the print has been delivered to store. Didn't get any email notification. The store said they don't have it. Shutterfly has 20-Page Shutterfly 8"x8" Standard Style Photo Book for $7.99 shipped with code "BOOKFORYOU". Code also works for 40% Off Sitewide.. Deal ends 3/11. Walmart has 20-Page 5"x7" Hard Cover Photo Book for $4 . Free store pickup. save your email. The store wanted to charge me $10; after shown them email, they changed to $4. Walgreens has new photo offers. Valid through 1/5/2019. 75% OFF Printbooks with code "EASYBOOK75"
60% OFF Photo Calendars with code "BESTYEAR"
50% OFF Photo Cubes with code "CUBE2019"
The code “EASYBOOK75 “ is invalid. Who knows the correct one? 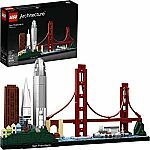 Hallmark has 75% Off After Holiday Clearance Sale. Discount price as shown. Free shipping to store where available. Walmart has 11oz White Photo Mugs for $4.99. Free store pickup or Shipping is free on $35+. Michaels has New Promotions. Shipping is free on $49+ or Free ship to store. 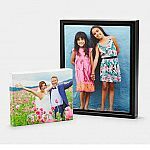 Walgreens is offering Free 8x10 Photo Enlargement w/ code "8X10FREE". Free store pickup. when does it expire ?? order was canceled, cannot believe it! 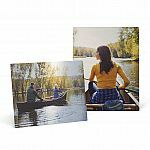 Walgreens has 11" x 14" Metal Panel Photo Print for $13.99 with code "65PANEL". Free store pickup. $40 original price. But not sure about the quality. I ordered one during thanksgiving, pretty good, at least above my expectations //@anonymous: $40 original price. But not sure about the quality. I had one before. Not bad, but don't put your expectation too high. Ordered 3 and just picked up. Product looks good, incredible price. Placed an order. Will see tomorrow. I picked one up. The quality is beyond my expectation. So, are people seeing inconsistency, or are some people selecting photographs that aren't as good for this particular medium? Kind of difficult to distill the good & bad reviews without much more information. From what I heard, I think it really depends on the person working in photo at your Walgreens. How they calibrate the machine. My photos always came out sharp and bright with the same guy working there. Now with a new lady working and this metal photo I just picked up is dark and dull. //@anonymous: So, are people seeing inconsistency, or are some people selecting photographs that aren't as good for this particular medium? Kind of difficult to distill the good & bad reviews without much more information. Walmart has Better Homes & Gardens 7 Piece Frame for $12. Free store pickup. Walgreens has new photo offers. Valid through 12/8. 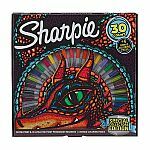 60% off all Cards & Premium Stationery with code "EARLYCARD60"
Free Return Address Printing with code "RETURN2ME"
50% off Photo Cubes with code "HALFOFFCUBE"
Michaels has Select Art Sets on Sale. Free store pickup. 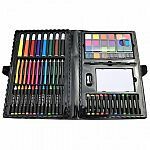 Michaels has 126-Piece All-Media Art Set by Artist's Loft for $20 - 25% off with code "JOLLY25W" = $15 . Shipping is free. 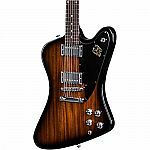 Please, is this a good deal? It would be, if there is a 50% or 60% off coupon. //@Anonymous: Please, is this a good deal? $15. Come on, of course it’s a good deal. //@anonymous: Please, is this a good deal? Walgreens has great deals. Free store pickup. 40% off Prints, Posters & Enlargements with code "PRINTHOLIDAY"
11x14 Unframed Canvas for $10 with code "10CANVAS"
50% Off Everything Photo with code "THANKFUL2018"
The canvas code doesn't work. Amazon has Dremel Digilab 3D Printer on sale. Shipping is free. Qidi is the best for the money. Michaels has new sale. Shipping is free. Exclusions apply for coupon codes. 50% Off 1 Regular priced item with code "5SAVE121618". Ends 12/22. $20 Off $50 Store pickup order with code "DECEMBER20W"
Walgreens has new photo offers. Free store pickup. 50% Off Photo Order of $50+ with code "JOYFUL50"
(Expired) 75% off Wood Panels with code "JOLLYPANEL75"
quality is just so so, not even worth the $5 after coupon //@Anonymous: JOLLYPANEL75 DOES NOT WORK. (Today Only) @Amazon.com. Shipping is free. 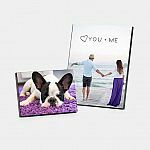 Snapfish has 20-Page 8"x11" Hardcover Photo Book for Free with code "OCTFREE8X11". Shipping is $8. 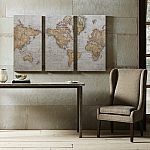 Kohls has Madison Park World Map Canvas Wall Art 3-piece Set for $21.33. Shipping is free. 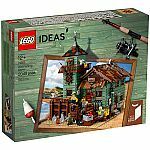 Kohl's card holder apply code "APPLE30", "MVCFREENOV", "NOVHOME10", and "VETERANS"
Amazon has LEGO 6213564 Star Wars Advent Christmas Countdown Calendar 75213 New 2018 Edition for $22.84. Shipping is free. Shutterfly has 8x11 Personalized photo calendar for FREE with code "FREECAL". Ends 10/24. Shipping starts $6.99. I paid $7.99 extra for 12x12 calendar, very good deal. Thanks dealsea! Walgreens has new photo deals. Free store pickup or free shipping on $35+. 65% OFF Scalloped, Square Bracket, Snowflake or Designer Metal Ornaments code "TREE65"
60% OFF Floating Frames & Wood Hanging Board Prints code "HANGITUP60"
50% OFF Everything Photo with code "ALLFORFALL"
There is no free shipping on photo orders if 35 dollars or more. not good quality //@Anonymous: There is no free shipping on photo orders if 35 dollars or more. (Ending 11/4) Walgreens has 12x12 Canvas for $10 with code "CANVAS10". Free store pickup. (Today only) Michaels has 60% Off Any One Regular Priced Item online with code"60MAKE102718" or in store with Printable Coupon. Free in-store pickup o free shipping with $49 purchase. 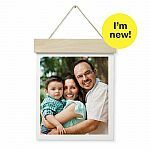 Walgreens has 11×14 unframed canvas photo print for $10 (Originally $40) with code "DECORATE10". Free in store pickup. how would you get the frame? I tried the code is not working on framed version (option available when designing your print). It is only for unframed and expires on 10/15 //@Anonymous: how would you get the frame? Just placed an order, code works. //@anonymous: Not a valid cupon. thank you dealsea. just picked up my order and they look great. 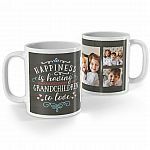 Shutterfly is offering free shipping on all orders with code "TODAYONLY". Plus receive up to 50% Off Everything. Shutterfly has 20-Page Shutterfly 8"x8" Hardcover Standard Style Photo Book for $7.99 shipped with code "FREEAND40". Deal ends 9/11. 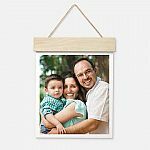 (Today Only) Walgreens has 75% OFF Wood Hanger Board Print with code "WOOD75" (11" x 14" $29.99 - 75% = $7.50) + Free In-Store Pickup. Walgreens has 50% OFF Photo Cards with code "FALLCARD50". Valid through 9/29. (Today Only) Walgreens has Free 8"x10" Photo Print with code "MINEFREE". Free store pickup. Note: you might need to log in to apply the code. It will apply but it's not valid as per Walgreen's customer care it looks like they are tempting without giving false ad. i just ordered it and got confirmation. Please select glossy instead of matt //@Anonymous: It will apply but it's not valid as per Walgreen's customer care it looks like they are tempting without giving false ad. works in puerto rico walgreens. thanks. I truly wish this is working. For those who said this is working, have u ever picked up your photo successfully? I sent my order, received confirmation email, after 3 hours, I then went to the store; however, the guys at Walgreens looks through and told me they never received my order and asked me to submit order again. I went back home and 1 hour later, got another email said the order is ready to pick up. I will try tomorrow to see if there is actually a photo to pick up. Amazon has select Yankee Candle on sale. Shipping is free with Prime (30-Day Free Trial). Snapfish has 20-Page 5"x7" Softcover Photo Book for $3.99 shipped with promo code "FREEAUG5X7". Sale ends 8/24. 5 X 7 photo book is kind of joke. Maybe Kids can have fun with it. I consider it as 20 prints of 5 X 7 photos, for which $4 is over priced. But some may argue that it is better than photo prints, it is a book. So it is for kids. //@Anonymous: 5 X 7 photo book is kind of joke. Maybe Kids can have fun with it. CVS Photo is offering One Free 8x10 Print with code "8FREE10". Free same day store pickup where available. 8FREE10 : This code is invalid. Please try another. Invalid. does not work for me on 8/23. //@anonymous: 8FREE10 : This code is invalid. Please try another. Walgreens has 65% OFF Same Day Pickup 3x3 Desk Cube with code "FORTHEDESK". 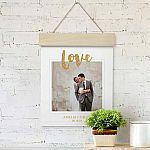 Walgreens has 75% OFF Wood Hanger Board Print with code "DECORATE75" ($29.99 - 75% = $7.50) + Free In-Store Pickup. Date: 7/8-7/9.